An international Caribbean shipping service has started using multiple routes to the Port of Hull, handling thousands of tonnes of breakbulk and project cargo per year. Europe Caribbean Line (ECL), represented in the UK by Baltic and European Shipping, saw its first call at ABP’s Port of Hull this month, with 300 tonnes of heavy vehicles and industrial components exported to Guyana, Suriname and Trinidad. The line has relocated to Hull to help customer accessibility in the Humber, Midlands and Northern regions, whilst continuing to serve the rest of the UK. Baltic & European Shipping – part of the Kestrel Group of companies – is the UK’s largest liner agency group. ABP Humber Director, Simon Bird, said: “We’re pleased to welcome new trade to the Humber as we continue to unlock new trading links to international markets. 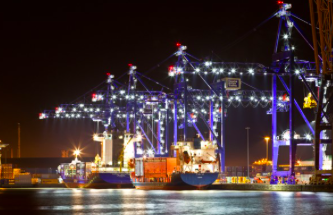 “It’s also another example of where ABP’s unique network of 21 ports has been able to accommodate our customers’ changing requirements – in this case, moving from our operation in Ipswich, to our operations on the Humber. “The Humber is ideally situated to support its customers and the vital economy of the North East and beyond.